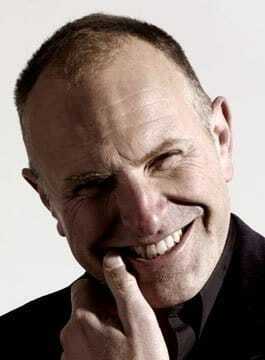 Simon Evans – Stand-Up Comedian, Broadcaster, Awards Host and After-Dinner Speaker. Comedian and broadcaster Simon Evans is a regular on Radio Four panel games such as The News Quiz, The Unbelievable Truth and Heresy. Simon Evans has performed sell-out shows at the Edinburgh Festival for several years, and in 2007 had a sell-out run at the Soho Theatre in London (Time Out made it their critic’s choice of the week, saying “Wonderfully dry and exquisitely ascerbic Evans is an odd and sublime talent”). Having headlined many times at every comedy club in the country, from London’s Comedy Store to the Glasgow Stand, Simon Evans now focuses almost exclusively on private and corporate events for his live work. He performs regularly at corporate events, hosting many awards ceremonies, his style well suited to moving from comedy to autocued presentations, enlivened with well-judged ad libs. Simon Evans has also proved particularly popular on the sporting dinner circuit, highlights of 2008 include his very successful performance at the famous ‘Long Lunch’ in Hong Kong to launch the Rugby Sevens season, plus a number of performances for the Variety Club and the Lords Taverners. Simon is also an in-demand writer, providing material for TV stars such as Dara O’Briain, Sean Lock, Jimmy Carr, Lee Mack and Marcus Brigstocke – though obviously, he keeps the best stuff back for himself! "Intelligent, supremely well-composed. Observational comedy at it's very best"